Here are two follow up notes to previous essays, one on the -e ending in mantras, another on the name Gotama; and lastly a brief note on dating the Canon. 1. The -e Ending in Mantras. On the Buddhist Hybrid Sanskrit/Middle Indic Ending "-e" as a 'Magadhism', Acta Orientalia Vol. 63 (2002), p.67-9. Western Editors, believing Indian pandits to be incompetent, silently emended unusual spellings. However as Olivelle points out, those pandits were far from incompetent, likely to be well versed in Pāṇini, and to know a 'wrong' form when they saw one. Indian scholars tended to preserve dialectical and archaic variants, being inherently more conservative in relation to texts they saw as sacred. To the European scholar of a certain era nothing but their own objectivity was sacred. While we may not accept the pandits explanations of such variant forms (which are frequently ascribed to the peculiarities of Vedic or given mystical significance) they were at least not so over-confident as to 'correct' them. As such, modern critical and printed editions of the Upaniṣads often obscure the history of the text by removing evidence, and reproducing previously corrected texts without question. My conjecture is that Buddhist mantras were composed in Prakrit or Buddhist Hybrid Sanskrit rather than Classical Sanskrit, and that words ending in -e in mantras are simply nominative singular forms, the gender of the words in the mantra having no relationship to the gender of the deity - and in the case of the Heart Sūtra there is no deity anyway. D.D. Kosambi. 'Brahmin Clans'. Journal of the American Oriental Society, Vol. 73, No. 4 (Oct. - Dec., 1953), pp. 202-208. Kosambi's point here is that the names Māyā and Gotama are on the same level - i.e. they are both first names. This is to read the text quite literally, and I'm a bit doubtful about doing that. 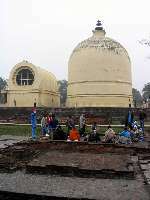 Compare for instance the case of the Brahmin boy Uppatissa, son of Rūpasārī, better known as Sāriputta 'son of (Rūpa)sārī'. However Kosambi points out that neither does the Buddha's wife become known as Gotamī in any tradition. The fact that Mahāpajāpati, his mother's sister, is called Gotamī also suggests that it is not the Buddha's clan-name since the names pass pass down patrilineally (though I think Kosambi here is thinking in terms of Brahminical social rules which required Brahmins to marry outside their gotra). Kosambi also notes that bhikkhus are sakiyaputta not gotamaputta. He does not attempt to explain why the future Buddha might be named after Vedic sages however, which still strikes me as odd. Tamhā kulā pabbajitomhi, na kāme abhipatthayaṃ. I went forth from that family, not longing for pleasures. Ahaṃ, bhikkhave, etarahi arahaṃ sammāsambuddho gotamo gottena ahosiṃ. This phrase occurs 3 times in the suttas, all in the Mahapadāna. Kosambi refers to this as "the first interpretation of Gotama as the Buddha's gotra name... obviously a late formation under Brahmin influence". Indeed it is so obvious that Kosambi provides no evidence for his conjecture, nor does he consider the possibility that both statements about gotra are "late formations". Contrarily we find the name Gotama being used in the last two chapters of the Sutta-nipāta which are generally considered to be the oldest layers of the Pāli Canon. It is still a puzzle as to why the Buddha even has a gotra name, let alone a Brahmin one (which both Gautama and Ādityā are). He was not a Brahmin. I don't think Kosambi solved the mystery, but he provided an interesting additional view point. 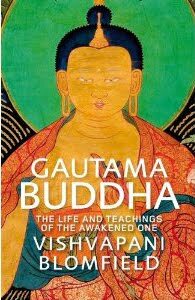 One last observation of my own is that though the Buddha meets Brahmins from many other gotra lineages, he never seems to meet a Gautama Brahmin. This is despite the fact that the two ancestors Gotama and Bharadvāja are mentioned together in Bṛhadāranyka Upaniṣad 2.2.4, and Gautama the Buddha meets more than a dozen Brahmins from the Bhāradvāja lineage, who mostly seem to live in Kosala (see e.g. DN 3, 13, 27, 32, but throughout the nikāyas). I've been looking at Brahmins in the Canon and thinking about the Buddha's Brahmin surname. No other males with the gotra name "Gautama" are found in the Pāli Canon, though there are several women. I think the facts we have might be explained if the Buddha's mother and her sister were of the Gautama clan, and married Sudhodana who was a Śākya. Gautama in other words is actually Gautamaputra, Son of Gautamī; on the same model as Śāriputra is the Son of (his mother) Śārī. These two are the progenitors of the clan which 'Siddhartha' was born into. 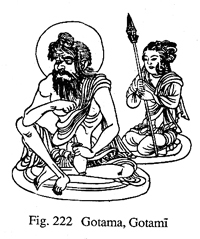 Gautama has a consort called Gautamī. I have not yet found the connection between the 'sugar cane' clan (Kansho) and the Śākya clan, though it may rest on a Chinese (mis)translation. In any case it that MAT includes the Vedic Gautama alongside the many other Vedic gods and important figures. Note that this story glosses over the fact that Gautama is a brahmaṇa, while the Buddha is usually referred to as a kṣatriya. * see Snodgrass, Adrian. The Matrix and Diamond World Mandalas in Shingon Buddhism, vol. 2, p. 470. The name is probably the Pāli equivalent for Ionians, the Baktrian Greeks. The Yonas are mentioned with the Kambojas in Rock Edicts v. and xii of Asoka, as a subject people, forming a frontier district of his empire. These Greeks are thought to have been descendants of garrisons left by Alexander of Macedon. And this gives us our date. At the time of the Buddha the Persian Achaemanids ruled as far east as the Indus River - i.e. including Gandhāra. We can confidently date Alexander's Indian campaign as part of his assault on and destruction of the Achaemanid Empire, to 327-326 BCE. If yona means 'Greek', then MN 93.6 cannot have been written before this date. Dates of the Buddha are less certain but the most recent research points to his death being circa 400 BCE, some 70 odd years before Alexander. Greek cultural influence remained for some time with post-Mauryan Dynasty Gandhāra being ruled by what is termed an 'Indo-Greek' dynasty from ca. 180 BCE - 10 CE. Greek aesthetic ideals heavily influenced Gandhāra art for some centuries, so that the first anthropomorphic images of the Buddha, produced in that region during the Kushan period (ca. 75-241 CE) showing obvious Hellenistic features. Note 7 May 2017 - to the best of my knowledge the Greeks never used Ionian as a general label. It was always a specific reference to Greeks who lived in Ionia - modern day Turkey. Moreover, the Greeks in question were Macedonians from Macedonia and that is probably how they referred to themselves. However, the Persians may have used Ionian as a general term for Greeks. If the Pāḷi Canon is using a Persian term for Greeks then this suggests that it was incorporated before Alexander. In which case the date goes back to being very vague indeed. for instance -e can signify a masculine or neuter locative singular of a noun or past-participle in -a, such as gata (past-participle of gacchati). I don't want to multiply examples needlessly but Moggallana's given name was Kotila (after his village, just as Upatissa was called after his village). Kassapa (tortoise) is a very common name in Pāli perhaps because it was a gotra name as well. It seems that calling people by clan or family names, or epithets was a common practice. Note that Walsh translates this as a present (I am) when the verb is clearly past-tense; the Buddha left his clan, class, and caste behind when he went forth. D ii.148. Note that he continues "the other class is defective" (sometimes in this pericope the plural is used 'the other classes'). The Pāli being: hīno añño vaṇṇo. Here the term hīna is clearly being used pejoratively in a caste context. See also my Hīnayāna Reprise. Shrimali, Krishna Mohan. The Age of Iron and the Religious Revolution : c.700-c.350 BC. (A People's History of India: 3A). New Dehli, Tulika Books. 2007. Map p.85. I haven't found any reference to this fact, but I presume someone else has already noticed this. Almost two years ago now I attended a series of lectures by Prof. Richard Gombrich which I find still resonating around in my psyche. One of the things Prof. Gombrich talked about was his disappointment that his article in which he had discovered the 'true' dates of the Buddha had not attracted any attention from the scholarly community. That oversight has now been corrected in a recent article by Charles Prebish in the Journal of Buddhist Ethics, which he co-founded with Damien Keown. This puts the death of the Buddha at 544/43 BCE and is accepted only by the Theravada tradition and not by scholars. The main reason for doubting it is that it gives dates for Aśoka that conflict with the evidence from his rock edicts - he was evidently crowned in 268 BCE give or take a year, and therefore a gap of 60 years remains unaccounted for. This date relies on texts which state that the coronation of Aśoka was exactly 100 years after the parinibbana, meaning that the Buddha died in 368 BCE. However the problem here is that all ancient texts are not in agreement over the elapsed time. One says 116 years, another 160 years. It is however supported by archaeological evidence and gained some heavy weight supporters. The idea here is that when Upāli finished collected the Vinaya immediately after the Buddha's death he placed a dot on the manuscript. Each subsequent year a further dot was added to keep track of the years. The obvious flaw in this theory is that the vinaya was initially memorised and not written down until some centuries later. For at least 300 years there was no manuscript to place dots on. Gombrich's answer to the problem of dating the Buddha came from a reassessment of the dates conveyed in records of Upāli successors as vinayadharas. The age at which each pupil was ordained, memorised the vinaya and died is recorded in a number of texts. Traditionally ages of monks are counted from their ordination, but Gombrich argues that in this case the ages where counted from birth. For one thing if the traditional chronology is used most of the monks would have lived into their 90's and one to 105. By counting the years from birth Gombrich is able to construct a plausible time frame for the lineage that does not contradict other known dates such as the coronation of Aśoka. This process yields a date of 404 BCE for the parinibbana with a margin of error of plus seven years or minus 5 years. Prebish seems happy to accept 404 BCE as the date. Though Prebish accepts Gombrich's date for the parinibbana he believes that Gombirch was in error in his dating of the councils which rests on much shakier ground. In fact it involves making an assumption about the traditional date of 100 years between the first and second Buddhist councils that is not supported but only makes sense in the light of traditional historical narratives. After having dealt with the precise lifespans of the vinayadharas Gombrich makes the assumption that the 100 years is a round figure and suggests that it was in fact more like 60 years since that produces a better fit. Prebish argues for letting the new chronology stand without altering the span between the councils. One of the consequences of this new chronology is that it places Aśoka front and centre in the first major split amongst the Sangha. The historical king is likely to have presided over the unofficial "non-canonical" council (recorded in some texts as occuring between the 2nd and 3rd councils) which resulted in the first Sanghabheda or schism. 18 years later Aśoka may well have convened the 3rd council at Pāṭaliputra (the Aśokan capital city) in order to try to "reaffirm Buddhist orthodoxy" in his new role as Dharmarājā. An earlier article by Prebish and Jan Nattier makes it seem likely that it was the Sthaviravādins who split first, and the Mahāsaṃghikas who represented the conservative mainstream. The issue seems to have been the number of rules which the Sthaviravādins were seeking to increase. Evidence for this is the number of rules in the various surviving Pratimokṣa Sūtras with the Mahāsaṃghikas having the least. This is a brief gloss of Prebish's article which is available on the internet (link below) and is recommended if you have an interest in Buddhist history. The original Gombrich article is less easy to get hold of - try an interlibrary loan if you don't have access to a major University library. Gombrich, Richard. 1992. "Dating the Buddha: A Red Herring Revealed." In Die Daiterung des Historischen Buddha Volume 2, edited by Heinz Bechert, Vanden-hoeck & Ruprecht, 237-259. Nattier, J and Prebish, C. "Mahāsāṃghika Origins: The Beginnings of Buddhist Sectarianism." History of Religions, 16, 3 (February, 1977), 237-272. And his body [sarīrampi], when the recollection of the Buddha’s special qualities [Buddhaguṇānussatiyā] dwells in it [ajjhāvutthañcassa], becomes [hoti] worthy of veneration [pūjārahaṃ] as a shrine room [cetiyagharamiva] - Vism VII,67. I've been reading the scholarly literature on this subject and surprisingly none of the writers have made much of this passage. It is only one sentence but this seems to have enormous ramifications. It seems a rather remarkable thing for the usually dusty Commentator to say. By cetiyaghara, translated as “shrine room” by Ñanamoli, we should probably understand a meditation hall with a stupa at one end, rather like the Caitya-hall at the Bhājā caves in Maharasthra. Although the dictionary definition of cetiya (Sanskrit: caitya) is "a sacred mound, cairn or monument", the term is virtuously synonymous with stupa. Allow me to labour the point here: the body of the one who is recollecting the Buddha can be treated as though it were stupa, or monument worthy of worship. The subjective imagined presence of the Buddha is worthy of the respect which was traditionally paid to stupas and relics of the Buddha. The stupa cult continues to this day and has even been transplanted in the West. It relies on the ability to imaginatively connect with the Buddha - to see the abstract shape of the monument in stone or concrete as something more than it's material form. The practice of recollecting the Buddha must have been formalised quite quickly as it's representation in the Canon is rather formulaic, ie it always uses the verses from the Buddha Vandana. But in "Pingiya praises" we get a sense of the spirit behind the formulas. Once the Buddha died these kinds of practices would have taken on a new significance, the more so when everyone who had met him has also died. Within 50 or 60 years probably there would have been no one alive who had met the Buddha in person. So the person who could maintain the kind of imaginative contact with the Buddha that Pingiya could may well have been considered worthy of veneration. Some have argued that without direct contact with a Buddha that no Awakening would have been possible, but the canon itself shows that many people were liberated without having met the Blessed One. The texts I've been looking at show why this is so - given the inspiration and the method anyone can make progress in the Dhamma and be freed. Pingiya is freed by faith (saddha-vimutta) as are several of his companions. We clearly see here the roots of the Pure Land traditions, and of Buddhist visualisation meditations. In Mahayana texts recollection of the Buddha continues to be important - Śantideva devotes a chapter of his Compendium or Śikṣasamuccaya to it. However the hearing or recollection of the name of the Buddha (or a Buddha) starts to emerge - in the Sukhavativyūha Sūtras for instance. A key moment in the history of mantra comes in the Saddharmapuṇḍarikā Sūtra or White Lotus Sutra (the earliest reference I have found) when the practice of recollecting the name of the Buddha, is supplemented by calling the name (of Avalokiteśvara in this case). Of course the easiest way to hear a name is to say it yourself. Then a few centuries later in the Kāraṇḍavyūha Sūtra the chanting of the mantra of Avalokiteśvara is equated with recollection of his name, thus setting the scene for the Tantric revolution. If we want to experience the presence of the Buddha in these difficult and testing times, we can. Like Pingiya there is no need for you to ever feel out of contact with the Buddha - simply bring him (or even her) to mind. There is a whole vast corpus of Buddhist art which has the precise function of helping us to make imaginative contact with the Buddha. In doing so you find your meeting, and according to Buddhaghosa you become like a holy shrine in the process and perhaps will inspire other people. Suttanipātta 1142. trans. Saddhatissa 1985. The Sutta-Nipāta. (Surrey : Curzon Press), p.132. 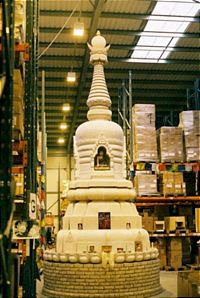 image: votive stupa in the windhorse : evolution warehouse. The full-moon this month marks the 2550th anniversary of the most crucial moment in the biography of the Buddha - his Awakening to the true nature of things. For some Buddhists the Wesak festival marks not only this, but also his birth and death. All over the world under the full-moon there will be solemn ceremonies, lively pujas, silent meditation, a huge variety of celebrations. While every aspect of the Buddha's biography has some significance, his Awakening is the reason that we remember him at all. Buddha is often translated as "Enlightened" but this English word, with all it's baggage from the intellectual movement of 18th century Europe, is not at all related to the original word. Buddha, and the related word bodhi, come from a root which means awake. So a Buddha is one who has awakened, and bodhi is to be awake. 'Awakened' is a metaphor which hints at the nature of the Buddha's experience on the full-moon day in may 2550 years ago. It suggests that before this experience he was asleep. The experience of going from sleep to awakening, in the ordinary sense, is significant. In sleep we are not conscious of the world around us, the world of the senses. We alternate between deep sleep in which we are barely conscious at all, and dream sleep in which we experience a different level of reality. In dreams the usual rules of our world, rules of physics or chemistry etc do not apply. In dreams we can meet the past or the future. When we awaken there is a definite sense of crossing a threshold. The transition from sleep to waking can leave us disoriented for a time. Then when we are awake we are aware of the data of our senses, and we experience the world as being more or less sequential and ordered. We, generally speaking, do not meet the past or the future, and the laws of physics hold true. The details are moot, of course, but the experience of going from sleep to waking is one that is common to everyone, and one that is marked and distinct. So waking is a metaphor for what happened to the Buddha. One of the ways the Buddhist tradition speaks of this difference is the three marks or lakkhanas. When we are asleep we see the world as substantial, permanent, and a source of pleasure. However when we wake up we see that things are impermanent, insubstantial, and are a source of suffering. We do tend to see things as permanent. We can catch the view that things are permanent in, for instance, our shock at the death of a friend or relative. We have always known that they would die, and yet we are shocked and surprised when they die. This sense of surprise is a result of having an unconscious expectation that they would not die. We resist change, and this again exposes the view that things ought not to change. Change is the fundamental condition of the universe. And because everything whatsoever changes, there can be no unchanging thing - no essence which transcends form and function. This is particularly important in the case of people. We are often said to have an eternal soul or essence which transcends our physical life and death, even our repeated life and death. But if there was one thing in the universe which did not change then the whole universe would freeze solid. This is because everything in the universe is dependent on the other things to create the conditions for existence. This means that if one thing is changing, then everything is forced to change. And if one thing did not change the whole universe would freeze solid because it would inhibit the changing of other things. It is not that phenomena are inherently or fundamentally a source of suffering. They are a source of suffering because of the false expectations that we have of them. If we expect phenomena to be permanent, transcending form and a source of pleasure, then we are constantly disappointed. If however if we align our expectations with the true nature of things - impermanent and insubstantial - then phenomena may still cause us pain (if we stub our tow on them for instance), but it's not inevitable. So this is one way of talking about the way in which the Buddha woke up under the full-moon in May 2550 years ago. Happy Wesak. essay on the Buddha's Last Words. all things are perishable, through vigilance Awaken! The full explanation of my translation is too long for this article, but I would like to look at one part of it: the word 'appamaadena'. This word is in the instrumental case so indicates the means by which an action is to be accomplished. It is by appamāda that sampādethā (from a verb, sampādeti, meaning firstly ‘to procure, to obtain’, and secondarily 'to strive'). Appamāda is translated in various ways but 'vigilance' seems to have become standard. However vigilance is not a perfect fit. Appamāda has three parts: a + (p)p + mada. The Pali English Dictionary gives two senses for mada: 1. intoxication, sensual excess; 2. pride, conceit. I'm going to focus on the first sense in this article. A is a prefix which makes a word mean the opposite. So appamāda is not-blind-drunk. If you look through the Pali suttas you will see that appamada is used in connection with the objects of the senses: sights, sounds, smells, tastes, touchables, and thoughts. So in practice appamāda means not-blind-drunk on the objects of the senses. Isn't it true that we are easily intoxicated by the objects of our experience? Aren't we in fact mostly caught up in this world of our senses? Or a lot of the time aren't we caught up in the world of our thoughts? 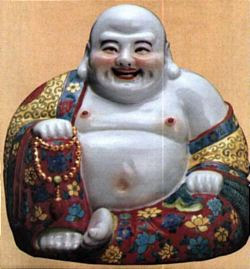 So the Buddha's final message was, sober up with regard to the senses and thoughts - don't let yourself get carried away. That's the way to strive, to obtain the goal, to Awaken! Before we have much familiarity with spiritual practice it can hard to grasp that there is experience which is not centred on the senses. If we eliminate the five physical senses, and the mental sense which comprehends thoughts: then what is left? Nothing? We live in hedonistic times when it can seem that the pleasures of the senses is what makes life meaningful. Or we might spend our time avoiding sensations which we don't enjoy. The Buddha's final message is pointing away from the senses, but towards what? In meditation we can take two basic approaches to the senses. We can just sit and watch the play of experience, and try not to get get caught up in it. This approach is sometimes likened to watching clouds drifting about the sky. One just sits and watches them coming and going, and doesn't invest any energy in them. Another approach is to actively withdraw from sensual experience through concentration on an object - frequently the breath. Doing this we find that in withdrawing from sense data our experience is blissful, and more satisfying. We may lose the sense of having a body, even lose the sense of having thoughts. The experience of meditation shows us that there is an alternative to being drunk on sensual data. Both of these approaches to the senses open up all kinds of new possibilities to us. This is not easy to put into words, especially in English because we simply don't have the vocabulary. Pali and Sanskrit terms can help, but they are unfamiliar to people outside Buddhist circles. The Pali word jhana (sanskrit dhyana), for instance, is one that has been used for these states which go beyond the world of the senses. There are texts which describe the experience - often using similes. But the experiences are quite accessible, to some extent at least, for most people who are willing to meditate regularly. So there is experience which is not mediated by our senses. But why does the Buddha use his last words to direct our attention towards this experience? Bliss is all very well, but is that really all that spiritual practice is about? The answer comes from the first part of his statement. It is because the nature of all things perceived by the senses (sankhārā) is to perish (vaya). Another possible translation of vayadhamma might be 'guaranteed to disappoint'. The objects of the senses as fascinating as they are, do not satisfy us. They are transient. By being focused on them we are constantly being disappointed, constantly let down, and it's a real drag isn't it? So to sum up: if we want happiness (and we all do), then we need to free ourselves of addiction to intoxication with the objects of the senses, including thoughts, which are guaranteed to disappoint us. 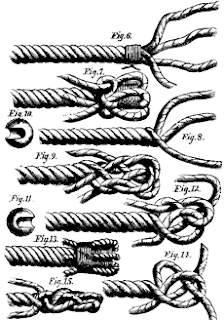 The reality of spiritual practice for most of us is that we can only slowly untangle ourselves from the senses, from thoughts. It's not easy because from the first we are totally immersed in this experience. But it is possible, and definitely worth it. See also: my calligraphy of the Buddha's last words on visiblemantra.org.